Southern Pro Wrestling (SPW) is introducing a new title to its ranks: The Barracks Cup. Named after the SPW training facility, SPW describes The Barracks Cup as “an achievement of hard work, dedication, guts and being the best“. Eight students from the SPW Academy will compete in a tournament to determine the first Barracks Cup winner. SPW regulars Ace Tempest, Hammer, JK Moody, Kane Khan, Slayer, and Will Power have entered the tournament. Newcomers Deuce Dynamite and Jack Brightside fill out the first-round bracket. Quarter and semi-final matches will be held tonight, February 10, at SPW Fight Nights. 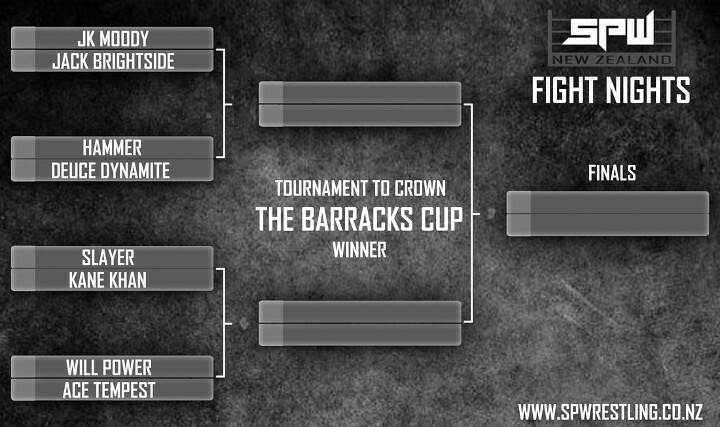 The first Barracks Cup winner will be determined in the main event of the next SPW Fight Nights event. 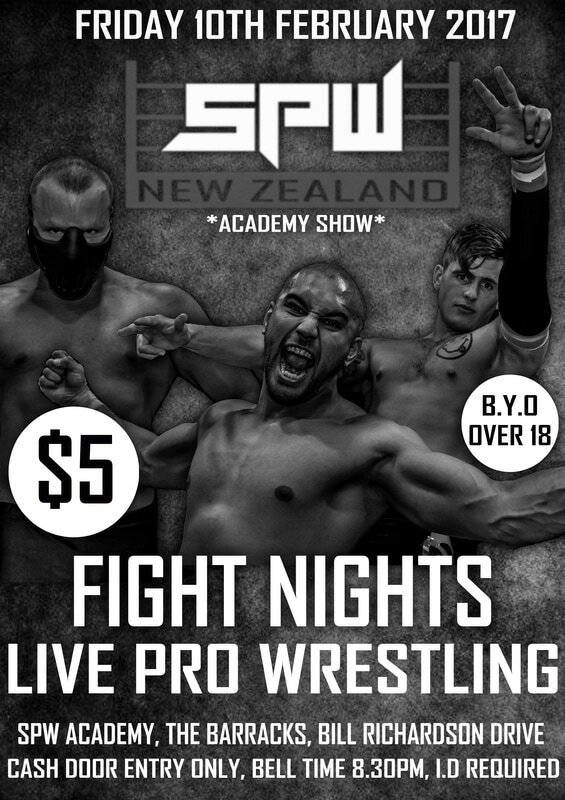 SPW describes Fight Nights as a platform for trainee wrestlers to perform in front of a live crowd – preparing them to be part of the regular SPW roster. The Fight Nights experience is different to that of other SPW events. Fans (over 18s) are encouraged to bring their own food, drinks, and even chairs for the $5 cash entry price.